Our version of the original DeArmond 2000 pickups are more controlled in the high frequencies, taking away earth shattering ice-pickiness while keeping that "off-the-rails" attitude that these pickups are known for. Of course, at lower gain levels they sing with unmatched fidelity and clarity. This version of the T-Armond with the proprietary T-Series cover makes it easy to wood-screw mount in any standard Filter’Tron cavity - if you have a Pro level or Vintage Gretsch then we will send an adaptor that will make this pickup fit with ease. The T-Armonds are in a league of their own with crystal clear highs, bellowing lows, and a tastefully controlled midrange. They perform really well with and without a lot of gain. 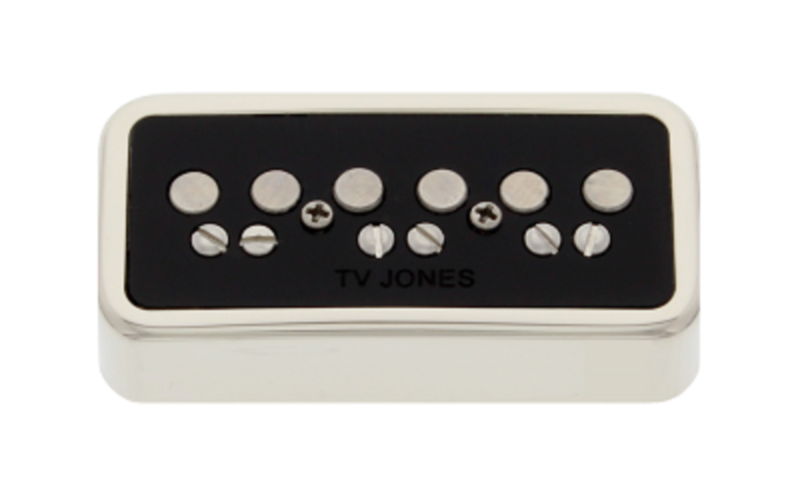 Some say they sound like tele pickups on steroids. The No Ears Mount is a direct drop-in replacement for any standard size Filter’Tron style pickups that mount directly into wood. 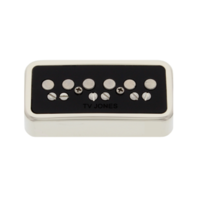 This pickup ships with mounting screws and compression foam for adjustment.